However, at CBC, graduation week was bittersweet for all the students and their families. Because of several reasons, CBC will be consolidated with my university and a seminary, so this was the end of its last year. CBC is a Springfield icon in many ways, for it's been around since 1922. It has a rich heritage of tradition and throughout the years has remained true to its original core values. My own parents are alumni, and they met and married while attending there, and for a time my father taught musical composition and theory at the campus. I frequented the campus as a kid to go to class with my dad, participate in Fine Arts competitions, and to receive cultural training the summer before my family moved to Africa. It has a special place in my heart. I took the chance to explore and document the campus with my boyfriend and went to a local museum to see if I could find more information on the history of the school. I've included some of that, and also my own pictures from the campus. The U.S. experienced a huge Pentecostal revival in the 1910s, which resulted in the formation of several new organizations, including the Assemblies of God. 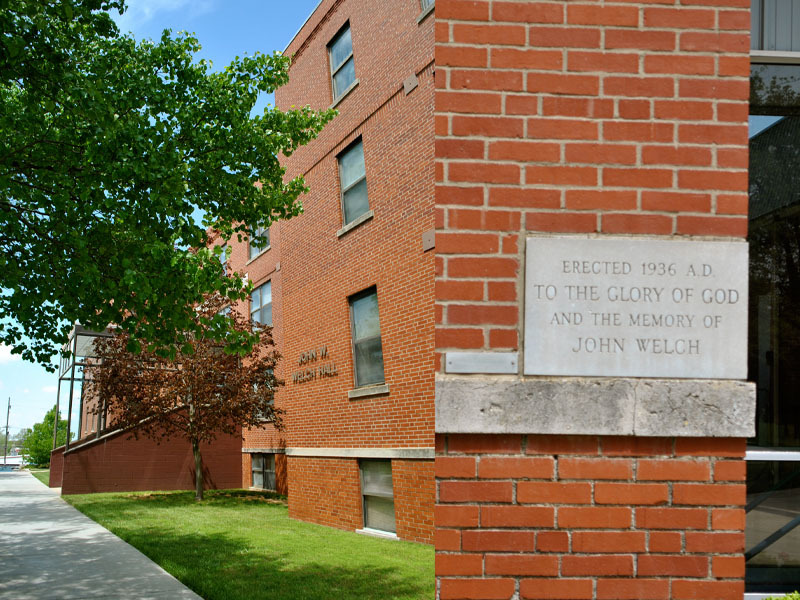 CBC (then called Central Bible Institute, or CBI) was created in response to the need for religious leaders around the world as a result of this revival. Its sole purpose, even to modern day, is to train ministers and Christian workers to serve through the Church. Do you see how many women there are?! How incredible for a higher education institution to have such a high percentage of women in a time that many considered educating women a waste. CBI musical group, around 1922. What a strange variety of instruments! Too bad we can't hear the music they played! Largest Pentecostal library in the world. I didn't really know what made a library "Pentecostal", so I asked Jacob. He said it just has the largest amount of books and information on the topic of Pentecost and Pentecostalism. Makes sense. Check out the sweet hair in this yearbook. I'm especially liking the hair volume of the lady on the bottom right row. So classy. Though the campus is in the city, it's on the northern edge. It has so much natural beauty, including this pond and small forests and large, mature trees. A really beautiful campus right in the city! This is a ditch for extra pond water, but it's the prettiest ditch I've seen! Skipping rocks like a boss. 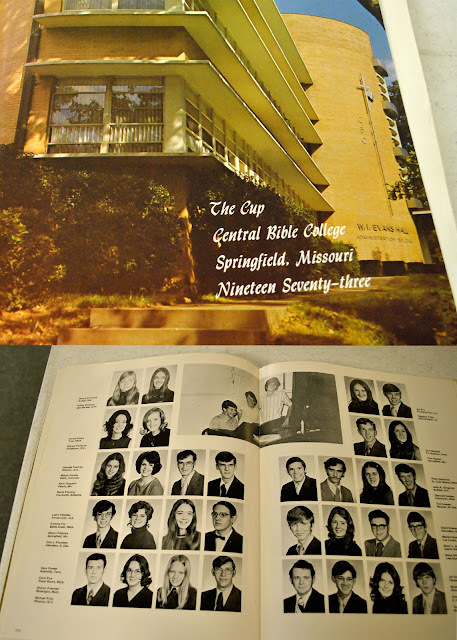 "Students, Staff, Faculty, and Board of Directors of Central Bible Institute, Springfield, MO, Nov. 20, 1952"